What are the best Arabic series on Netflix? There aren’t many, but recently, some good stuff was added. Watching Arabic TV series is a decent way to study dialects. However, it used to be the situation that there were a) no English subtitles available and b) the quality was bad. Netflix has started to fix that. In the last months, some fine Egyptian and Lebanese TV series were added. This was a big hit in Egypt and was aired during Ramadan 2016t! 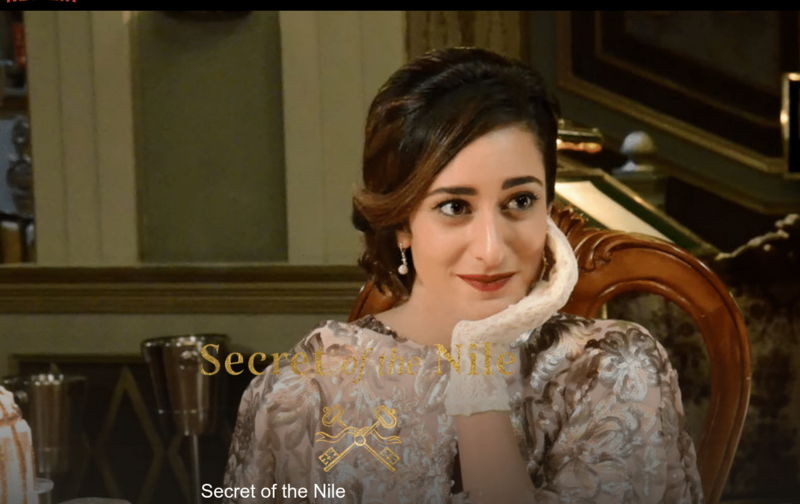 It is based on a Spanish show (Grand Hotel) which is also the reason that Netflix changed the title to The Secret of the Nile. What’s the story? The drama follows a young man named Ali in the 1950s who visits a prestigious hotel in Aswan to search for his missing sister, who had been employed there as a maid. He didn’t plan on falling in love with the owner’s daughter though, but a better turn of events couldn’t have happened as both of them try to solve the mystery of the missing sister in the mythical halls of the Grand Hotel. What’s the story? Black Crows tells the story of women forced to live in the so-called “Islamic State”. Also available on Netflix. Dialects? You will encounter various Arabic dialects. This is a Lebanese-Syrian Arabic drama series (Ramadan 2017) which is also now on Netflix. It is set in a fictional Lebanese village called al-Hayba near the Lebanese-Syrian border. What’s the story? In a village by the Lebanon-Syria border, the head of an arms-smuggling clan contends with family conflicts, power struggles and complicated love. Dialects? The series is in Lebanese and Syrian dialect. Note: This page was last updated on Mar 1, 2019 @ 16:46. How do you watch Netflix with ARABIC subtitles?